I am always astonished as to why a large minority (if not a majority) of comrades on the left of British politics hold serious anti Euro Federalist views and often wondered as to whether these fine (in other ways) group of people retain elements of the little Englander mentality deep within them. I understand the clear messages coming across from those who are so anti Federalist and appreciate the argument that at present the entire set up appears to be in favour of those who wish to perpetuate the oppression of the working class. On the other hand we all have to agree that any large scale movement will go through evolutionary changes and that takes a long time. No one can deny the fact that there have been some serious and positive changes that have emanated from Europe and some (not all) European Directives have been in the interest of working people. These changes would never have been introduced by a British government. So the road towards a United Socialist Federal Europe is a long one but it will be better for those on the progressive left to be part of these changes and be more involved. And its not all about economics. There are immense and major political gains to be made by having a United Europe. There is no need to refer to the two major wars we had in the last century or talk about current and ongoing disputes that are still unresolved. A United Europe will better protect smaller countries and the stability the union will bring will benefit all of us and will be a step closer to true and real internationalist aims and objectives. Welcome to the blogosphere comrade. 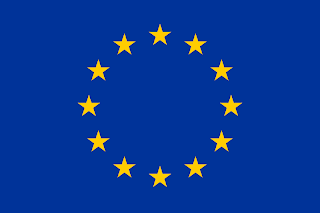 I sympathise with the objective of a United Europe - I would be happy with a democratic world Government tbh. However for now the EU is clearly an undemocratic anti-working class creature. Word is that the RMT are backing an anti-EU left slate in the forthcoming Euro-elections so I foresee some interesting debates in the branch! Thanks for your comment. The Brisish left (and I am very much part of that)is looking at the prospect of a trully united Europe in very narrow terms. I am saying that we should be spending more time working towards improving the structures of the Union to ensure that what we have today becomes more of a positive force. A debate on whether we are in or out will be good but a Federal Europe will strengthen the politics of Europe and should avoid historical mistakes made in the last century. I know its not as simple as that but then neither is opposing the entire concept. You are just an oppositionist init mate? Lol..